The latest winner of the Ampersand Prize is a genre smashing hostage drama about fourteen year old Tamara, who's faced with an impossible choice when she falls for her kidnappers. Yet this is no ordinary kidnapping. Tamara has been living on a star freighter in deep space, and her kidnappers are terrifying Crowpeople, the only aliens humanity has ever encountered. No one has ever survived a Crowpeople attack, until now and Tamara must use everything she has just to stay alive. But survival always comes at a price, and there’s no handbook for this hostage crisis. As Tamara comes to know the Crowpeople's way of life, and the threats they face from humanity's exploration into deep space, she realises she has an impossible choice to make. Should she stay as the only human among the Crows, knowing she'll never see her family again or inevitably betray her new community if she wants to escape? Tamara Situ converses in hushed whispers, treading lightly across the confined compartment on board the Starweaver Layla. A merchant vessel transporting minerals for the Starweaver Corporation. Although orphaned, Tamara is cared for by Lazella on board the vessel illegally. Tamara is a wonderfully gentle and compassionate young woman, isolated through circumstances and communicates by whispering and facial expressions. Tamara and Tamiki are unauthorised passengers hiding within the shadows as the vessel is commandeered by the Garuwa. The citizen of the Starweaver Layla have been massacred and although Tamiki is concealed and remains on board, Tamara has been captured, presumed incapable and submissive. The Garuwa are a convoluted species populating interstellar space on conscious vessels requiring minerals to survive, resident to thousands of warrior Garuwa prepared to defend their populace. Humans are a necessary carnage as the Starweaver Corporation vessels are commandeered and pillaged. Tamara is being held captive and begins to assimilate, emulating the intricate language of whistles and forging friendships within the female species. Living in isolation, Tamara has never experienced a sense of community beyond observing those on board the Starweaver Layla through the ventilation system. Her relationship with Lazella is maternal and tender, providing Tamara with comfort after the loss of her parents. Tamiki is a perceptive young boy, gentle and understanding the importance of quiet whispers. Throughout her narration, Tamara's distress is palpable as Tamiki remains on board the desolate vessel. I admired Tamara's intelligence and determination to survive. Her compassion allows her to recognise that although the Garuwa appear hostile, the species embrace Tamara as a member of their community. A wonderful illustration of inclusion. In The Dark Spaces obscures the boundaries of morality, humans and Garuwa have created a hostile environment and interspecies conflict. It also explores colonisation and the mining of resources, a reference to the aggressive infringement on Indigenous land. 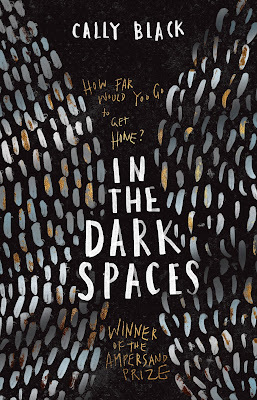 An ingenious, introspective and remarkable young adult debut. I haven't ever read an alien YA book other than that Twilight-wannabe series by JLA, but man, this sounds very intricate and compelling. I like that it explores so many themes too despite it being a sci-fi story. I'll add this to my list! It's brilliant Nick, my only regret is taking so long to get around to reading it. You're finding so many thoughtful, unique books to review lateky! Thanks for bringing them all to my attention. I was so lucky to have received a few for review Karen. I'm on a streak at the moment with phenomenal reads. Oh wow, this sounds like a really thought-provoking novel. I imagine that idea of "aliens" could be taken in a real life context too, which is probably important. Thanks so much for sharing. I hadn't heard of this one before. It really is Australian young adult at its finest Lauren. I love the underlying messages of colonisation and a sense of belonging. It added another element to an already brilliant storyline. I'm actually reading Unearthed at the moment and really enjoying it. You'll love this Casey, it's unique science fiction with underlying messages and wonderfully written. I have only been hearing such positive things about this book. I think I need to set aside specific time for some of the Aussie YA titles I've missed this year! 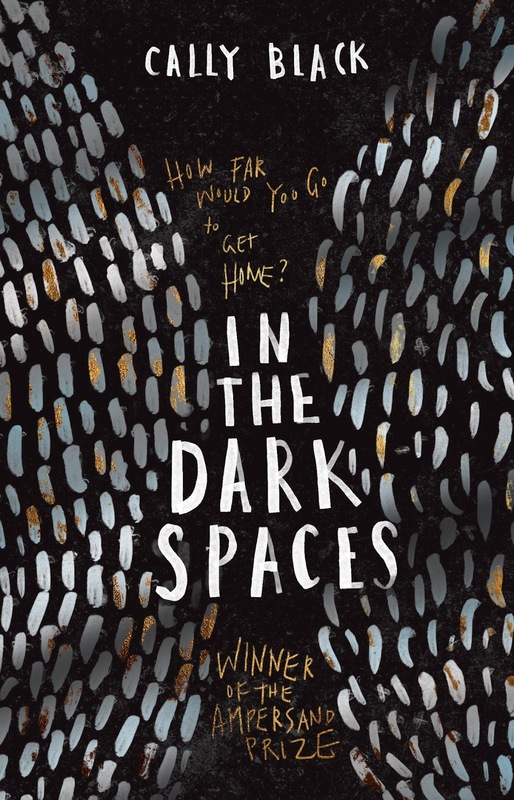 It sounds like this book shows community in such a lovely way, and I think books that shine a light on topical issues through their story are incredibly important. I couldn't agree more. It also helps ignite conversations and through fiction, offer new perspectives as well. I typically enjoy books even more with underlying messages throughout. It was wonderful. You've sold me and I just added it. I'm a huge scifi fan and I love YA, so all the more perfect. It sounds detailed and intricate, and the more complicated the better for me. I love that kind of stuff. Thanks for the heads up! And better still, it's a standalone as well. No need to invest in a lengthy, drawn out series. I'd love to see what you think of it Rebecca! I dont read much scifi or anything that isnt contemporary anymore but im glad you loved this one kelly. I've been reading far more contemporary this year too actually, I must admit that science fiction is still my first love though. It is but she's so incredibly resilient. I would love to see what you think of it Ailyn. I can almost guarantee you'll love this. Tamara is so heroic and perceptive and there's no romance! Which often spoils science fiction. I'm not really fond of science fiction but dang! This one sounds really exciting!!! It's brilliant Vanessa, incredibly unique and the focus is on the characters and plight, rather than weighing down the storyline with lengthy explanations. This looks awesome! This one is going on my TBR straight away and certainly sounds like one which will get me thinking. I do need a good sci-fi read on my shelf always. Interesting, strong themes here -- and not what I thought it would be.... as always, much food for thought!